Our team of experts will determine the audiovisual or control installation that covers all your company’s needs. 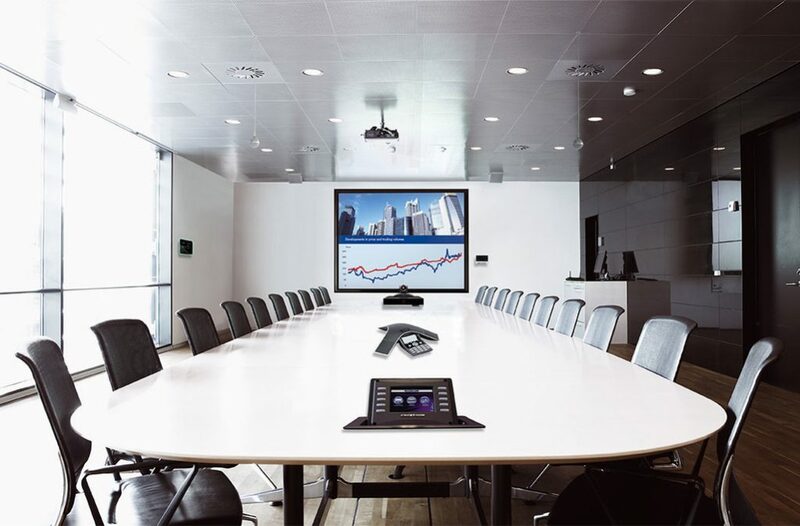 We have interactive monitors and professional projectors, audio and video signal broadcast equipment, control systems, wireless collaboration systems, room booking equipment, and connectivity equipment and specific furniture to integrate your company solution. Make an appointment to visit our SHOWROOM. We’re expecting you!